On the final day of Bulgaria’s official month-long election campaign period ahead of the November 2016 presidential elections, a question mark hangs over what may have become of the confidence that Prime Minister Boiko Borissov’s centre-right GERB had that it would emerge the winner – whoever it named as a candidate. The stroke of midnight will signal the end of campaigning, and the rituals familiar in Bulgarian politics will be observed. Bulgarian President Rossen Plevneliev, who is not standing for re-election as head of state, was scheduled to address the nation via the public broadcasters at 8pm. Two hours before that, GERB was closing its election campaign with an event at Plovdiv’s Ancient Theatre. The morning of November 5 will be bring the “Day of Contemplation” on which canvassing is illegal. GERB’s candidate Tsetska Tsacheva has been said by two reliable opinion polls, those by Alpha Research and Exacta Research Group, to be leading with the largest share of support, 26.3 per cent and 27.9 per cent, respectively. But no poll gives Tsacheva a sufficiently commanding lead to expect a first-round victory. A second-round vote on November 13 seems a certainty. 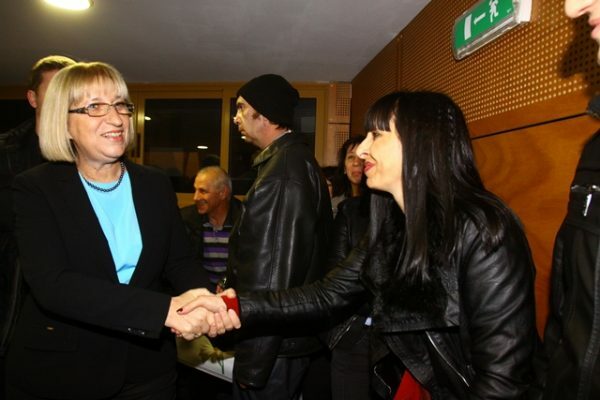 That runoff vote most likely, going by the polls, would feature Tsacheva and her Bulgarian Socialist Party-backed rival Roumen Radev. The distance between Radev and third-ranked Krassimir Karakachanov appears too great for the nationalist candidate to be able to catch up. 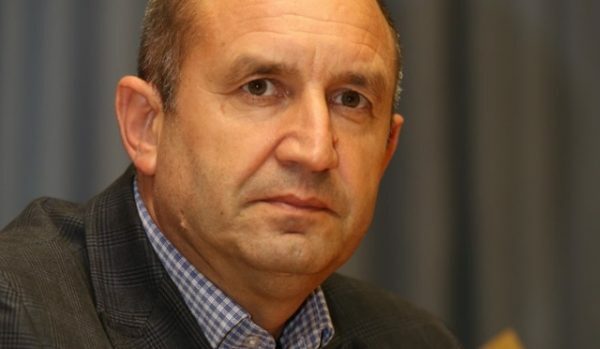 But this election, the one that GERB appeared to believe would see it cruise comfortably to victory – so much so that Borissov staked the future of his government on it – has produced its surprises, and perhaps on Sunday will produce some more. The same polls show patterns of political support different from those in the current make-up of the National Assembly. The night before the campaign close by GERB, Tsacheva was in the industrial mining town of Pernik, telling an audience “we have walked the path of victory, touring more than 200 settlements and meeting with people from all over the country”. Tsacheva said that she was convinced that Bulgarians wanted to live in a peaceful, stable and secure Bulgaria, going to say, “we need to maintain the stability of the second Boiko Borissov Cabinet, to ensure financial and economic stability, to continue the public prosperity that we have now”. There seems a poignancy to those words, given that Borissov had said that his government would resign, precipitating early parliamentary elections, should GERB not win a first-round victory. More recently, Borissov has walked back on this, saying that even in the face of second-round defeat, his government would not resign. Radev, in an interview on bTV on the morning of November 4, said that “the easiest way to test a cause is to bet your life on it. 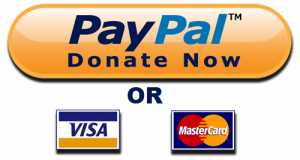 I’ve done that many times, because my cause is a strong and secure Bulgaria”. He said that his “winning strategy” was to meet with voters. He said that was why he had not taken in bTV’s debate “because right then I had a meeting with young people from all over Bulgaria. I look to the future, not the past,” said Radev. Earlier, reports – by bTV – said that he had not taken part in the debate because Tsacheva would not. Roumen Radev, the BSP candidate in Bulgaria’s 2016 presidential elections. Radev, a military pilot and former Air Force commander, said: “I’m never silent. That’s why I was punished many times and one year I was deprived of flights. That’s the least thing I can criticised for”. Underlining, as he has done several times in the campaign, his military credentials, Radev again pointed to the fact that Bulgaria’s constitution makes the President the commander-in-chief of the armed forces. He had a “clear vision” how to develop Bulgaria’s armed forces. The President had many “levers and mechanisms” whereby to intervene, said Radev, who also said that if elected, he would “work with any legitimate government”. A slightly odd thing to say, given that the current government, whatever its merits or otherwise, could hardly be said to face any questions over its legitimacy, and no one now can say whether there will soon be a different one. Perhaps Radev has what the elder Bush called, “the vision thing”. Karakachanov’s presidential election campaign was wrapped up on the night of November 3, after a torchlight parade and a ceremony at the Monument to the Unknown Soldier in central Sofia. 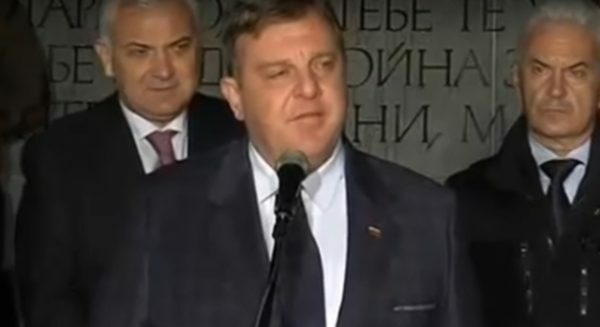 With leaders of the various nationalist and far-right parties that nominated him arrayed behind him, Karakachanov said that “the Bulgarian patriots are at the end of a tough battle”. Karakachanov at the campaign-closing event of the ‘United Patriots’ on November 3. “But we continue, because we are fighting for the liberation of Bulgaria from nihilism, hatred and a corrupt political class”. The “united patriots”, he said, were strong “and strength is essential, to save the Motherland”. “Our opponents hid away in the most unworthy manner, thinking that once again they would win, for the latest time, a fixed match,” Karakachanov said. At all the meetings around the country, he had seen hope in the eyes of Bulgarians. “The Bulgarian spirit is not asleep, people see in our unification (a reference to the Patriotic Front coalition and Volen Siderov’s Ataka mounting the joint presidential ticket) a positive example. Therefore, I declare clearly and categorically that I will not surrender”. In Bulgaria’s presidential election vote on November 6, polls close at 8pm. The results of exit polls should be expected soon after that, and then the customary succession of news conferences by the camps of the 21 candidates. Who should be surrendering, and who girding themselves for a second-round contest, should become clear in those first few hours after voting ends. As it will become clear, depending on whether someone achieves a November surprise of decisive victory, whether The Sofia Globe’s daily election wraps will be needed in the days between November 7 and 11.